National Freeway No. 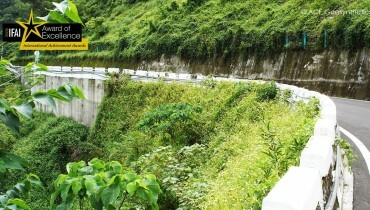 3, one of the most important north-south arteries in Taiwan, is famous for the scenery along its line. Because of the enormous demands of transportation, any slope instability that might endanger the traffic flow must be treated immediately. 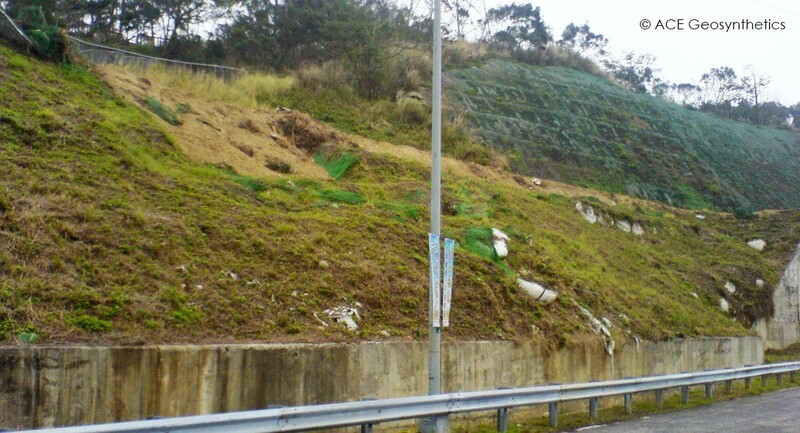 An 8 m high slope was found to slip near the entrance of Xihu service area of the highway due to the results of a torrential rainfall. The deterioration was consequently jeopardizing the safety of the highway with time. 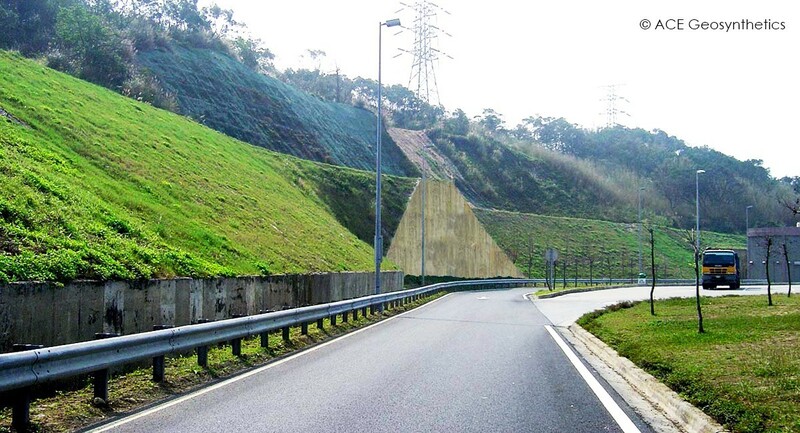 The highway authority required that the rehabilitation should be a sustainable solution to fully conform to an aesthetic and eco-friendly environment. In addition, the owner also required the construction to be completed within a limited schedule to minimize the traffic impact. 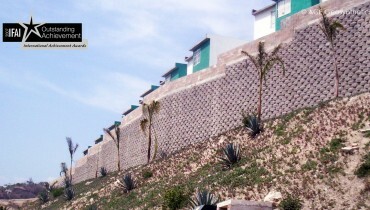 The conventional solution is to build a cast-in-place reinforced concrete (RC) frame in-filled with seeded soil bags. Such design is costly and the RC frame involves much more labor and materials for construction. It is also not a solution which favors sustainability. 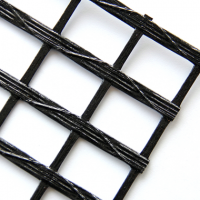 The completed surface also requires a relative longer time to develop sufficient vegetation to cover the RC frame. 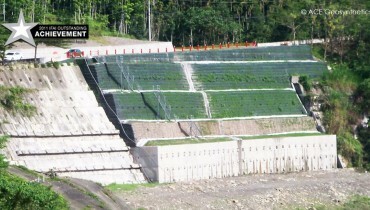 To meet all the requirements of the project, a wrap-around reinforced earth structure (RES) containing ACEGrid, soil bags, local soil, and drainage materials were chosen to restore the slope. 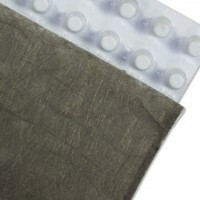 There are five reasons for adopting this solution: (1) excellent quality and durability of ACEGrid® ensure the stability of the RES; (2) a well-designed integrated vertical and horizontal drainage system; (3) fast construction significantly reduces the traffic impact; (4) a flexible wrap-around facing system perfectly fits in situ surrounding changing contours and also easily maintains a slope of 1:1.5-1:2 (H:V) identical to the original design; and (5) the porous surface structure of the RES provides a friendly environment for the development of local vegetation and an ecological system. 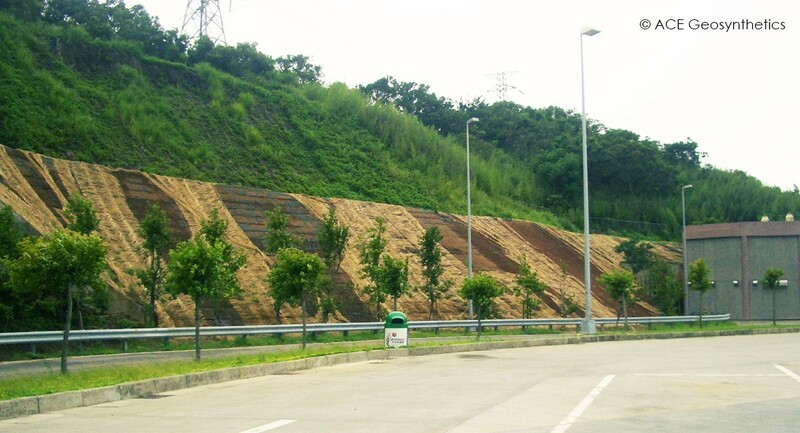 The problem of slope safety is rooted out, and the slope looks like a natural slope. 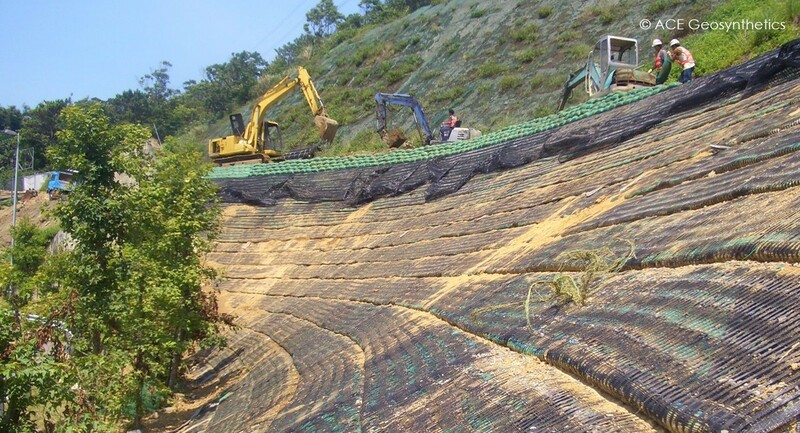 The results proved that ACE Geosynthetics are capable of providing novel solutions to totally meet the demands of the site.